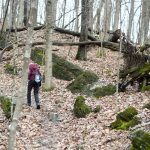 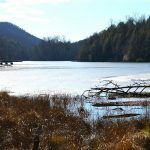 Roughly 12 miles of trails await hikers and bikers at this park in Bristol, Va.
Appalachian Voices’ Jamie Goodman recounts the joys of a winter hike and the magic of the season. 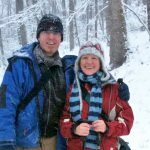 She also shares thoughts from others about the perks of braving the cold and setting out on the trail. 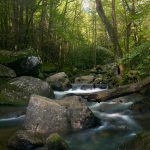 This roughly 10-mile trail follows the Bluestone River in southern West Virginia and gives hikers a taste of the wild. 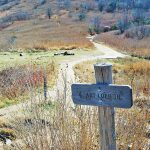 Here, we outline a multitude of gorgeous spots off the beaten path in our national forests. 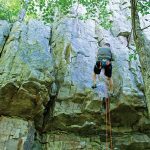 Breathtaking vistas for hikers and a variety of routes for climbers at Virginia’s Hidden Rocks. 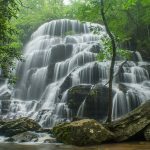 This South Carolina state park boasts a 100-foot waterfall, a wide variety of wildflowers and more. 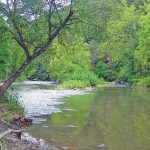 The network of trails at Tennessee’s largest city park allows hikers of any skill level to design an outing to suit them. 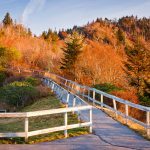 An 8.3-mile hike to the top of Shining Rock is perhaps the most scenic portion of the 30-mile Art Loeb Trail. 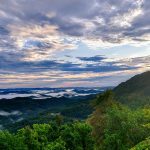 Here, we outline some of the best overlooks, hikes and historic sites along the Blue Ridge Parkway.